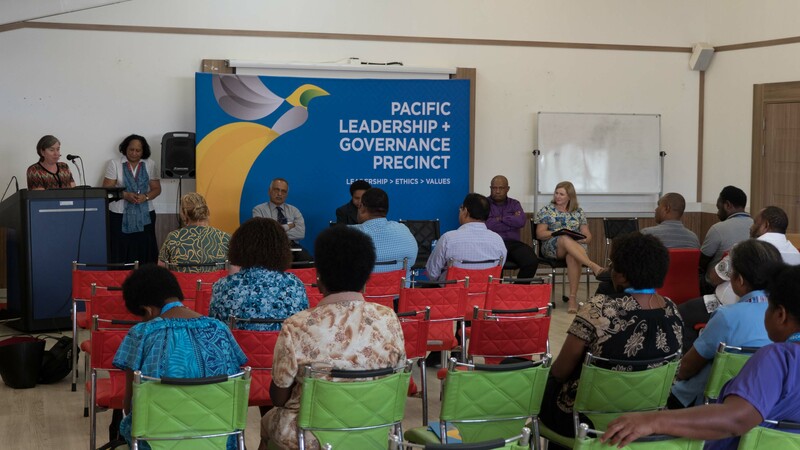 Twenty-five of Papua New Guinea’s most talented public servants are currently participating in the new Pacific Leadership and Governance Precinct – Future Leaders Program, which is designed to strengthen public sector leadership and service delivery. The inaugural participants have just completed their first two-week residential sessions looking at ethical decision making, emotional intelligence, risk management, strategic thinking, public policy in Papua New Guinea and transformational leadership. The Future Leaders Program is being delivered through a collaboration between the Papua New Guinea Institute of Public Administration (PNGIPA) and the University of Papua New Guinea School of Business and Public Policy (UPNG SBPP); both core Precinct partners. 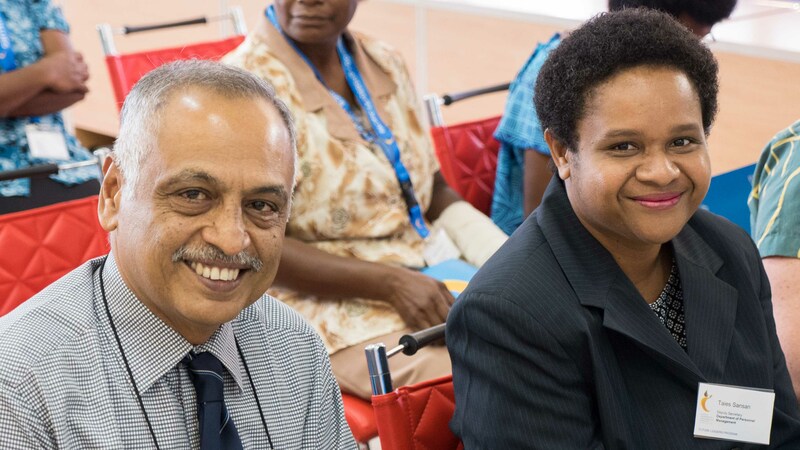 The 10-month Program is providing public servants with skills-based training, group learning and academic course work tailored for the Papua New Guinea public sector. 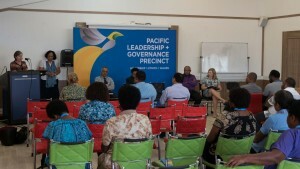 The Pacific Leadership and Governance Precinct is a partnership between the Governments of Papua New Guinea and Australia. The Department of Personnel Management is currently taking applications for the second cohort of the Future Leaders Program, which will begin in May 2017. At the recent launch of the Future Leaders Program, Department of Personnel Management Deputy Secretary, Taies Sansan said that the participants had been identified as future public sector decision-makers. “Our country needs leaders in the public service that are strong, capable and ethical,” Ms Sansan said. “You have been chosen because you have demonstrated the qualities that it takes to be a leader. All of the participants in the first cohort of the Future Leaders Program were drawn from Provincial Governments and there was also balanced representation of women and men. Australian High Commission Counsellor for Economic Governance, Jodie McAlister said the Future Leaders Program would help participants respond more directly to the needs of Papua New Guineans. “As more responsibility is extended to the provincial and district level there needs to be capable leaders ready to make a difference,” Ms McAlister said. “The Precinct is providing training programs tailored to public servants in Papua New Guinea. 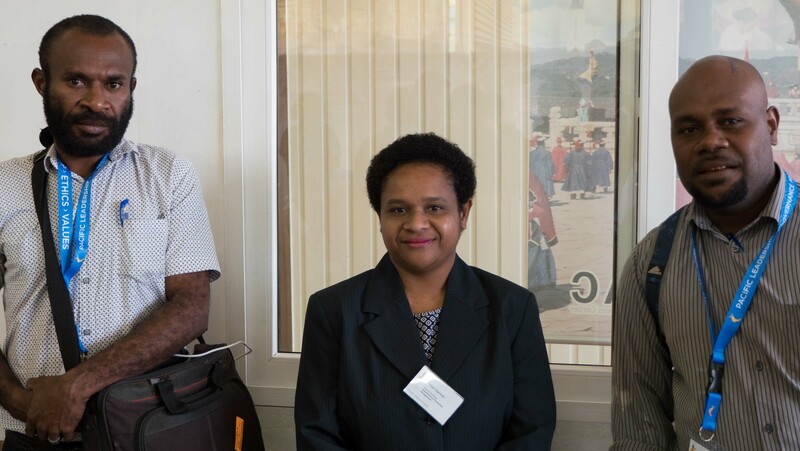 Ms Jodie McAlister, Counsellor Economic Governance at the Australian High Commission in Papua New Guinea, welcomed the participants to the inaugural Future Leaders Program. Mr Vincenet Muhya (left) from the West Sepik Provincial Administration and Mr Elisha Peono from the East New Britain Provincial Health Authority, were welcomed by DPM Deputy Secretary, Ms Taies Sansan.